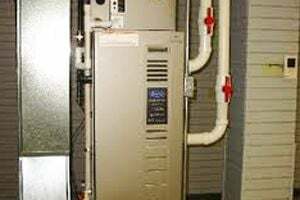 Comment: I need an estimate on getting my natural gas furnace repaired. Comment: I have a Magic Chef (model 48HWC181-5) forced air heater/AC unit. The heat exchanger is bad, but the unit still provided good heat and the A/C works good. I shut the gas off a few years ago, and use an electric heater when needed. (I'm in an upper unit and drive truck, so I'm not home very often anyway.) The cost/benefit ratio doesn't seem to be in my favor, but I'm hoping someone may possibly have good used or reclaimed parts, or a cost-effective new part or solution. Thank you in advance! Butler Heating & Furnace Contractors are rated 4.76 out of 5 based on 573 reviews of 15 pros. Not Looking for Heating & Furnace Systems Contractors in Butler, WI?